The overwhelming threats to biodiversity in northwest Ecuador are deforestation and hunting by local residents that lack viable economic alternatives to these unsustainable practices. Our award-winning Environmental Ambassadors program has a transformative effect on the lives of local residents by providing alternative employment opportunities. We provide knowledge, technical skills, and employment that empower local residents to be part of the solution to the biodiversity crisis. Local residents previously engaged in unsustainable livelihoods receive intensive training and full time employment in field biology and conservation leadership through our program. They help to design and conduct ‘solutions-based’ research, and regularly present their work to local communities and scientific conferences, and they serve as role models for promoting conservation. FCAT has developed and implemented a range of educational approaches for local residents of all ages. We work with schools via a teacher-training program, in which teachers are equipped with lesson plans and teaching aids designed to improve their capacity to inform children about the importance of ecological systems and the environment; we have reached thousands of students in several dozen communities through this program. We complement this by organizing regular visits by children and adults to pristine rainforest areas where we share information about our methods and results. We also share findings and information through public symposia, workshops, and meetings, and via an annual Environmental Fair attended by hundreds of local residents each year. We build capacity for conservation at a range of scales. We work closely with local landowners to develop infrastructure for eco-tourism that is linked to conservation of forest on private land. For example, our work with Refugio del Gavilan (https://refugiodelgavilan.com) has helped one local family to establish a viable ecolodge on their property. 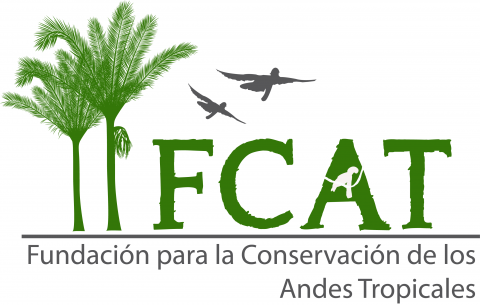 FCAT also builds institutional capacity for conservation through strategic partnerships with the Ministry of Environment and leading Ecuadorian NGOs, including training of park guards and community researchers in basic data collection and analysis. We have also developed strong relationships with most major Ecuadorian universities, where we collaborate with faculty and have mentored more than 30 honors thesis projects by Ecuadorian undergraduates.